Evidence informed commissioning should fit within an organisation’s wider cultural landscape, to become ‘the way things are done’. The organisation’s ‘culture’ represents beliefs, values, practices and behaviour. It is complex and can influence whether an evidence informed approach to commissioning is adopted; it also shapes the form it takes. A key enabler in the strengthening of an evidence and evaluation culture is good access to relevant evidence; this toolkit can help guide commissioners towards this. Public Health departments within the Local Authority provide expert support in accessing and using evidence and contribute to a growing evidence culture. The Joint Strategic Needs Assessment (JSNA) is a key resource that provides an evidence based overview of the changing health and wellbeing needs in your locality. This can be accessed via your Public Health team – see Contact. This short video highlights the impact of finding and using evidence, where to look to find it and real world top tips, from commissioners and GP Clinical Evidence Fellows working across the West of England. Additionally, there are a number of key initiatives in place in the West of England that contribute to getting evidence or knowledge from its source and into practice, known as knowledge mobilisation. This team foster collaborations between commissioners and researchers to encourage commissioning-informed research and research-informed commissioning. This initiative is led by Professor Nicki Walsh, Professor of Knowledge Mobilisation and Musculoskeletal Health at UWE. Nicki was appointed in July 2016. Her role is to bring together academic, clinical and commissioning colleagues to develop and promote knowledge mobilisation culture across the region. Researchers in Residence – two researchers from the Centre for Health and Clinical Research (CHCR) at the University of the West of England are attached to the Clinical Commissioning Groups (CCGs), specifically supporting work in the musculoskeletal area. 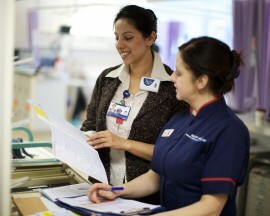 NHS Management Fellows – BNSSG Research and Evidence Team will soon be appointing a commissioning manager attached to the University of the West of England research teams on a part-time basis, to bridge the gap between commissioning and academia. Trained to access and use evidence, these GPs provide two sessions per week per CCG, working to promote an evidence culture, signposting to additional tools and resources. Click here to find out more. These developmental posts work across CCG and Public Health teams, to provide evidence reviews and advice and guidance on service evaluations to support key commissioning priorities. Part of the role is to increase capacity through training of others. They also undertake small scale evaluations. BNSSG Research and Evidence Team support four assistant posts – two are currently filled and the recruitment process for the remaining two is under way. Working on discrete projects, this developmental role supports the CCG and Public Health teams with economic support. For reviewing service provision against commissioning objectives and success criteria for a specific service. Assessing service outcomes to understand patient and system benefits in line with the service specification. For securing cross section of data types and sources to inform priority setting. Part of any needs assessment to determine health needs of the local population. Identifying gaps or deficits in quality, performance, value or outcomes. Confirming where quality, performance and outcomes are strong. Use of the Joint Strategic Needs Assessment (JSNA) as a key source of evidence to inform priorities – via Public Health. Horizon scanning health service research that may influence both national policy and local strategy. Reviewing best practice evidence against commissioned models of care. To inform the design/re-design of services including service models and patient pathways. In the consideration of options for change and available evidence to support preferred option. Informs decisions on what to commission at macro, meso and micro levels. Place explicit requirements on providers to promote patient participation in research studies, deliver evidence-based clinical care and evaluate their service delivery. Download a useful guide. Ensuring that contracts are in place to hold providers to account. Evaluating whether changes to the way in which services are commissioned have delivered the expected benefits. Consideration of a broad range of data types to monitor delivery of commissioning plans.